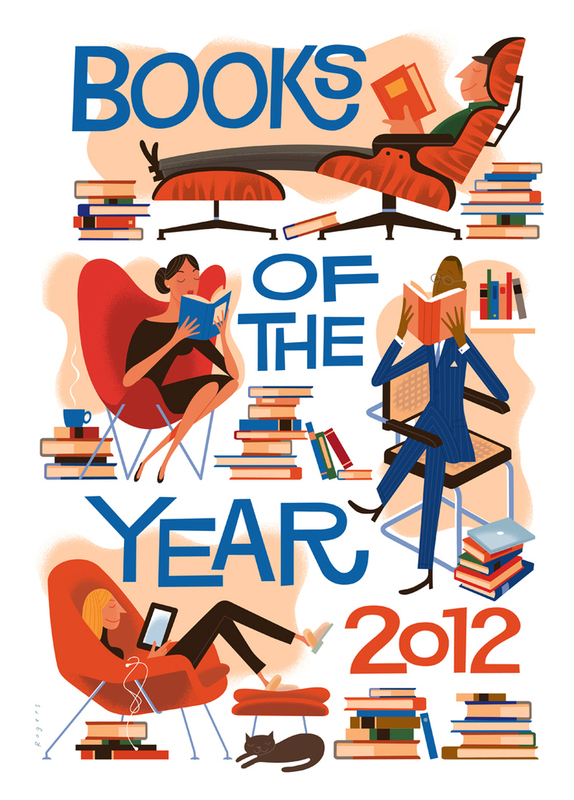 Eileen O'Donnel at the Wall Street Journal called last week for some illustrations for their Books of the Year review. 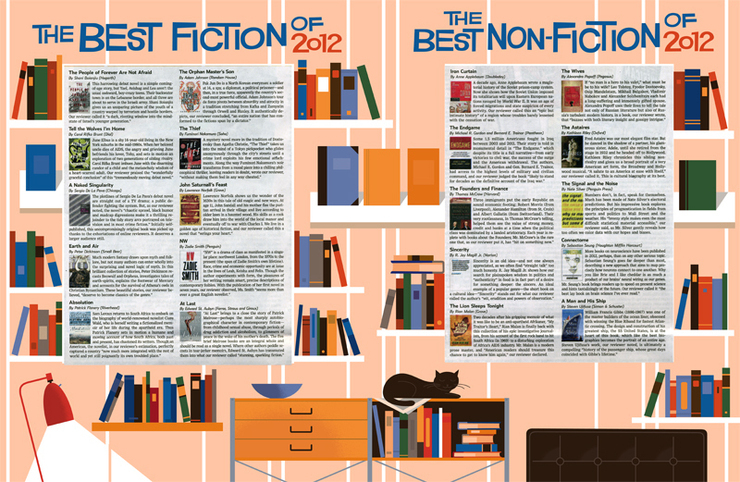 The list of books wasn't set yet, so she just asked for some images about books and reading. There's no big idea here, just find a style that could work. I sent her a bunch of drawings of people sitting in modern chairs reading and some Saul Bass-Art Goodman inspired lettering. love these. Hope you're well Paul! My favorite things! Reading, mid-century chairs! I want... Prints? A calendar? I cut them out of the WSJ, but some are back-to-back, and the newsprint shows through. Please! Looks great! Must be fun to draw famous furniture! I loved it-saw it in my weekend edition...it really brought me in and I am saving this one all around great content! High level with a beautiful mid century look.